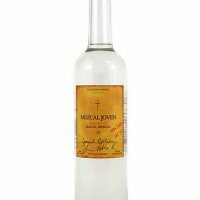 Tequilera Las Juntas, S.A. de C.V.
Tequila 5150 Blanco, 100% Blue Agave, produced at Tequilera Las Juntas. 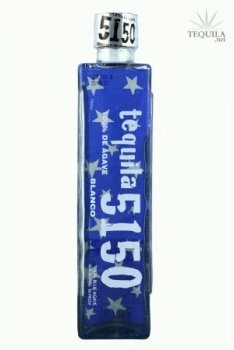 Tequila 5150 is the creation of Frank Léal, owner and winemaker of Léal Vineyards, a winery he built from scratch a the young age of 28 after selling his construction business. Conquering the challenges of the ever traditional and sometimes finicky wine business empowered Léal for yet a new endeavor. As with wine, léal had a fondness for great tequilas. He wondered if he could take his experience as a winemaker, use some of the same non-traditional techniques, and produce tequila. And so the journey started. Thanks to some friends in Jalisco, Mexico, Léal made the right connections and began making his own Tequila-his way. 5150 Blanco - Clear with medium body. Clean agave aroma, with hints of pepper and herbs. A pepper and agave initial taste with a hint of olive, spicy without heat, turning to a sweet citrus body. Smooth finish with citrus and mint, and a spice/mint aftertaste. 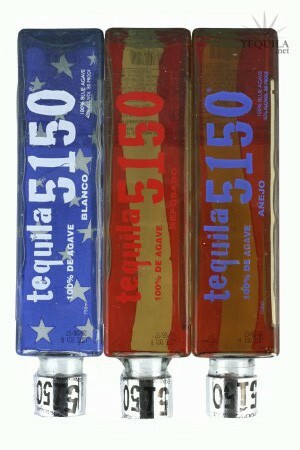 Unique square, stackable bottles, displaying a rendition of the US flag when stacked. A well rounded Blanco full of flavor from 5150/Leal Vineyards. I think this has to be one of my favorite blancos in this price range. Love the bottle too. Tasted on 08/13/08 out of high ball glass. 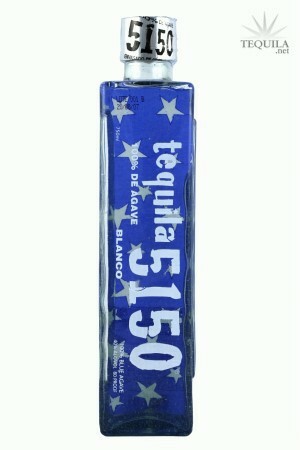 5150 blanco is an intense, sweet blanco. Not too aggressive, but not too mild either. On the sweeter, bolder side. A good sipper. Aroma: An obvious nose of agave, floral, and herb. Initial Taste: On the tip of the tongue, its a 'heated sweet', with no bitterness. A medium to oily mouth feel. Body: A balanced agave body, with notes of citrus, and floral. Finish: A nice heated, smooth finish of medium duration.